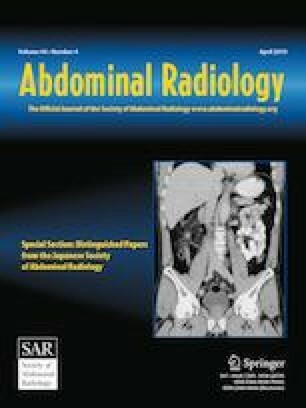 Computed tomography angiography (CTA) is a diagnostic modality utilized in patients with suspected active lower gastrointestinal (GI) bleeding. CTA use in clinical practice is limited by the risk of contrast-induced nephropathy, and the loss of patients from direct physician observation while undergoing the test. Identifying clinical predictors of a positive result would be useful in guiding physician utilization of CTA studies. We performed a single-center retrospective study to determine which clinical predictors are associated with a positive CTA. Binary logistical regression modeling was used to identify the independent predictors and the results were expressed as adjusted odds ratios with corresponding 95% CI . 262 patients met inclusion criteria and there were 61 (23.3%) positive CTA exams. In unadjusted analysis those who were CTA positive were more likely to require management in the intensive care unit (85.2% vs. 14.8%, p < 0.01) and being CTA positive was associated with a significantly increased in-hospital mortality (14.8% vs. 4.5%, p < 0.01). The use of a novel oral anticoagulant (NOAC) in the week prior to presentation was associated with a positive CTA after adjustment for confounders (adjusted odds ratio = 3.89; 95% CI 1.05–14.43). Similarly, the use of a non-steroidal anti-inflammatory drug (NSAID) was associated with a positive CTA (OR 2.36; 1.03–5.41). Only 8% of patients experienced contrast-induced nephropathy. Use of either NOACs or NSAIDs in the previous week is independently associated with a positive CTA in the setting of acute lower GI bleeding. CTA exams appear to confer a low risk of contrast-induced nephropathy. The online version of this article ( https://doi.org/10.1007/s00261-019-02005-3) contains supplementary material, which is available to authorized users.